The laicity issue is heating up in Spain where Pedro Sanchez’s Socialist government has announced that it wants to publish an inventory of all property owned by the Catholic Church. 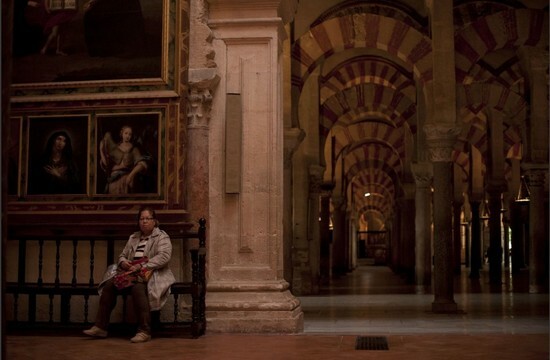 On March 2, 2006, the Spanish Catholic Church managed to register its ownership of Cordoba’s UNESCO-heritage-listed mosque-cathedral, the third most visited site in Spain, for a mere 30 euros. Spanish movements promoting laicity reacted strongly to the event. Tickets to visit the building cost 10 euros per person, generating significant income for the church, “which is neither declared nor taxed,” the movements have pointed out. Moreover, in an article published in Europa Press on Dec. 30, 2017, diocesan authorities announced an 8.5 percent rise in the number of visits last year to more than 1.8 million. The Spanish Parliament first debated a proposal to create a register of church property in April 2017. Now the Spanish Socialist government has placed the issue back on the agenda. The minister of justice has announced that he wishes to publish an inventory of property acquired by church officials and institutions which have not yet been registered. Church officials have said they will need six months to achieve the task. “In France, this is no longer an issue,” said Lyon lawyer, Maëlle Comte, an expert in the law of religion and laicity and a lecturer at the University of Saint Etienne. “That is because a very strict separation of church and state has existed since the adoption of the Law of 1905,” she said. “In this sense, the church is treated like any other private individual and there are no regulations with respect to registration of real estate transactions,” said Maxime Cabrera, another Lyon lawyer, specializing in international tax law. However, in Spain the applicable law is much less clear. A 1946 law on mortgages in effect allowed bishops to register any property except for buildings of worship in their own names. Nevertheless, many churches and hermitages were registered during the 1980s. A representative of the bishops’ conference estimated their number at between 30-40,000. As well as centers of worship such as churches and cathedrals, this heritage also includes parish houses, vineyards, fountains and even public sites such as Mount Oiz, a legendary mountain located in the Basque country. The reform of the Spanish law of 1998 adopted by the government of José Maria Aznar further facilitated such registrations and legalized the practice. This enabled the institutional church to lay claim on properties that were previously mostly regarded as being in the public domain without the need to provide any documentation of ownership. The church’s privilege under this 1998 law was further extended until 2015. A year later, a European Court of Human Rights ruling in Strasbourg held that the church's process of registration was arbitrary. The court therefore ordered the Spanish government to pay indemnities to owners. “Aznar did what even Franco did not dare to do,” said Jorge Garcia, president of the Movement for a Secular State (MHUEL) in Aragon. In the Aragon region alone, MHUEL has identified 2,023 properties registered by church institutions without any publicity nor payment of value added tax. “What is happening in Spain is unique,” said Garcia, who is also the spokesperson for the Recuperando platform, which is fighting to retrieve property registered by the church institutions. He also requested that “the non-discrimination principle” should be applied. However, Garcia believes that a “global solution” to the problem needs to be found. “All registrations of property without documentation” should be declared invalid and the law should be changed,” he said.“The government has intended to establish an inventory of property going back to 1998 but we are working to have this extended to the end of the Franco period, which was 20 years earlier, in 1978,” he said.